1964, The Kinks third single “You Really Got Me,” was at number one on the singles chart. Future Led Zeppelin founder and guitarist Jimmy Page played tambourine on the track. 1964, Rod Stewart recorded his first single, a version of Willie Dixon’s “Good Morning Little School Girl.” Future Led Zeppelin bass player John Paul Jones played on the session. 1965, The Who perform at Borough Assembly Hall in Aylesbury, Buckinghamshire, England. 1965, The Byrds begin recording “Turn! Turn! Turn!” Unlike their first hit, “Mr. Tambourine Man,” members of the group itself were permitted to play instead of session musicians. 1966, The Beatles started a six-week run at number one on the album chart with Revolver, the group’s ninth chart topper. 1967, Jimi Hendrix played at Stora Salen Akademiska Föreningen, Lund, Sweden. 1968, The Beatles were at number one on the singles chart with “Hey Jude,” the group’s 15th number one and the longest chart topper ever at seven minutes and ten seconds. 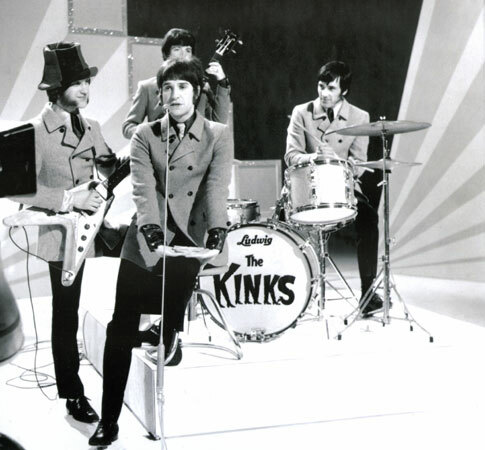 The single was the first release on the group’s Apple records label. 1970, Elvis Presley appeared at Kiel Auditorium in St. Louis, Missouri. 1971, Led Zeppelin played at Onodaga War Memorial Arena in Syracuse, New York. A mezzanine ticket cost $6 (£3.75). 1971, The Allman Brothers Band appeared at Central Theater, Passaic, New Jersey. The opening act was Cactus. 1972, King Crimson performed at Civic Hall, Wolverhampton, England. 1972, Pink Floyd played at McFarlin Auditorium, Southern Methodist University, Dallas, Texas. 1973, The BBC banned The Rolling Stones single “Star Star,” from their Goat’s Head Soup album because it contained the word “Star-fucker” in the chorus a dozen times. 1974, The New York Dolls spit up. 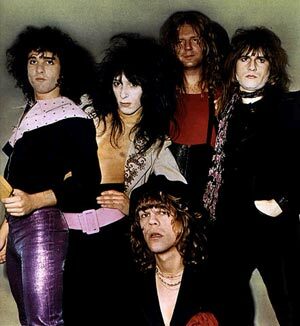 The influential American band formed in 1972 and made just two albums, the 1973’s New York Dolls, and Too Much Too Soon in 1974. 1976, ZZ Top performed at Madison Square Garden, New York. 1977, Rush appeared at Saskatoon Arena, Saskatoon, Saskatchewan, Canada. 1978, AC/DC played at Veterans Memorial Coliseum, Columbus, Ohio. 1979, The Police appeared live at The Assembly Rooms, Derby, England. 1980, Van Halen performed at Tingley Coliseum, Albuquerque, New Mexico. 1981, Bruce Springsteen & The E Street Band appeared at the Rosemont Horizon, Rosemont, Illinois. 1988, Guns N’ Roses started a two week run at number one on the US singles chart with “Sweet Child O’ Mine,” the group’s first US number one, a number 24 hit in the UK. 1991, Nirvana’s single “Smells Like Teen Spirit” was released in the US. The unexpected success of the song in late 1991 propelled Nevermind to the top of the charts at the start of 1992, an event often marked as the point where alternative rock entered the mainstream. 1995, Kiss played the first date on their 117-date Alive World Tour at Chattanooga Memorial Auditorium in Chattanooga, Tennessee. 2005, Grammy-award winning guitarist and singer Clarence “Gatemouth” Brown died from complications of lung cancer and the long term effects of emphysema and heart disease in Texas at the age of 81. Recorded with Eric Clapton, Ry Cooder and Frank Zappa during a career that spanned 50 years. 2009, A harmonica owned by Bob Dylan sold for £2,700 ($4320) at auction in Norfolk, England, more than four times the guide price. The singer-songwriter had presented the chromonica harmonica, made by Hohner, to a member of his wardrobe department in 1974.